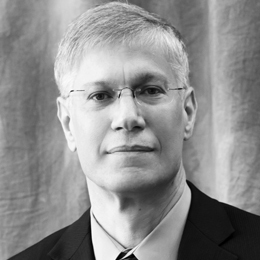 Yaron Brook, host of the Yaron Brook Show, is a renowned and entertaining lecturer on Capitalism, Political and Economic Freedom, Free Speech, and the philosophy and history of Ayn Rand. Brook has served as a keynote speaker, debater, panelist and lecturer for Congressional Staffers, Governor Business Forums, YPOs, The Mont Pelerin Society, as well as a long list of prestigious universities, colleges, and high schools in the U.S. and around the world. Born and raised in Israel, Dr. Brook served as a First Sergeant in the Israeli military intelligence and earned a BSc in civil engineering from Technion-Israel Institute of Technology in Haifa. In 1987, he moved with his wife to the United States where he received his MBA and PhD in finance from the University of Texas at Austin. He went on to become an award-winning finance professor at Santa Clara University, and in 1998 he co-founded BH Equity Research, a private equity and hedge fund of which he is the Founder and Director. In addition to podcasting and speaking globally, Dr. Brook authors works that inspire critical thinking. His most recent book, In Pursuit of Wealth: The Moral Case for Finance, makes the case that few industries are more vital to our prosperity – and more maligned – than the financial industry. Brook and co-author Don Watkins explain why finance has faced so much criticism, and why, despite the conventional image of financiers as “greedy” and reckless, finance is a moral industry. Above and beyond his best-selling books, Free Market Revolution and Equal Is Unfair, Dr. Brook is a contributing author to “Neoconservatism: An Obituary for an Idea,” “Winning the Unwinnable War: America’s Self-Crippled Response to Islamic Totalitarianism,” and “Big Tent: The Story of the Conservative Revolution — As Told by the Thinkers and Doers Who Made It Happen.” He has contributed to Forbes.com, and has been featured in the Wall Street Journal, New York Times, USA Today, Investor’s Business Daily and many other publications. Presently, Dr. Brook serves on the board of the Ayn Rand Institute as its Chairman and primary spokesperson. He also serves on the board of the Clemson Institute for the Study of Capitalism and is a member of the Association of Private Enterprise Education and the Mont Pelerin Society. The perspective, experience, and worldview that Dr. Brook offers is unique and highly sought offer.